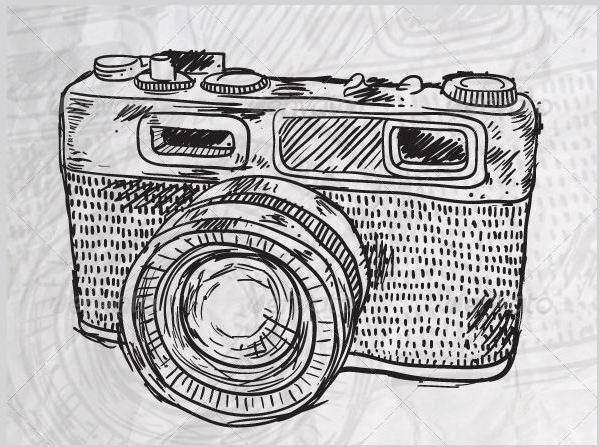 With selfies taking up the world, needing a camera vector design will help you incorporate a startling element in your projects. You can find these vectors in many variations like silhouette or geometric vector designs giving you incredible style and character. From colorful designs to black and white vectors you can find everything you need with the guide that follows. Feel free to check them all out and experiment with the ones that draw your attention. 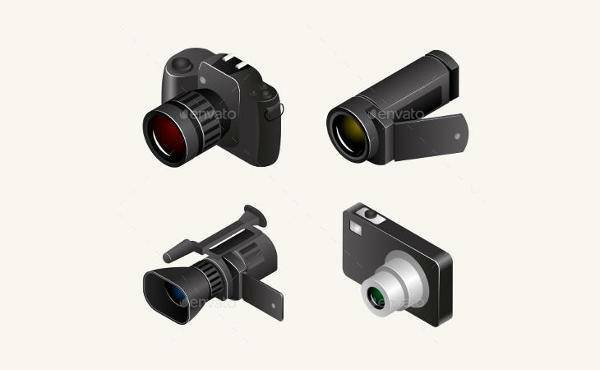 Camera lenses vectors have a stylish design that bring you character. 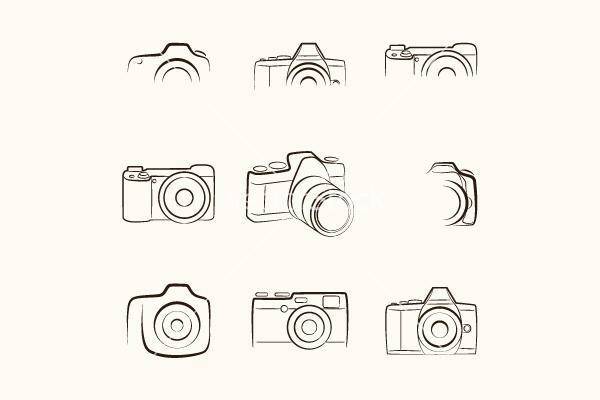 You can use them in various projects that are related to photography. Black and white vectors will add an elegant look while colorful ones will give you extra style. 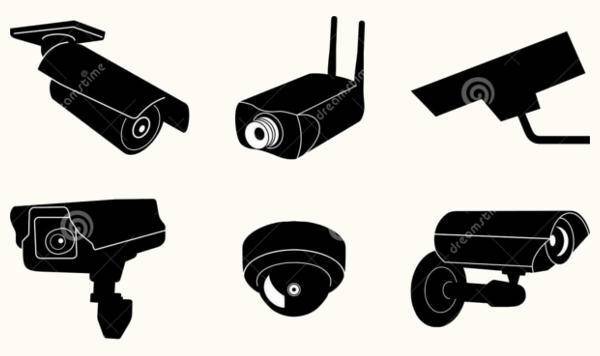 Video camera designs come in many styles that feature old fashioned and digital pieces. You can find them in silhouette designs as well as outlined video cameras that give you extra points for your creativity in web sites and blogs. 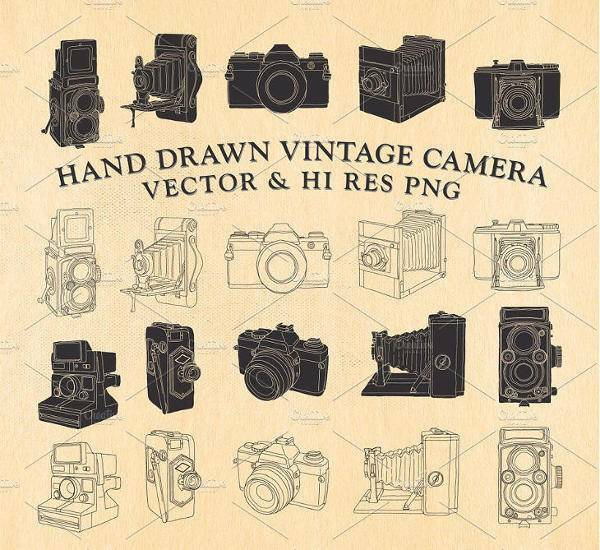 Vintage cameras add a classic tone to many projects like web sites, blogs, posters, scrapbooks and app development. You can find them in multicolored versions as well as in black and white ones that will give you high class quality. 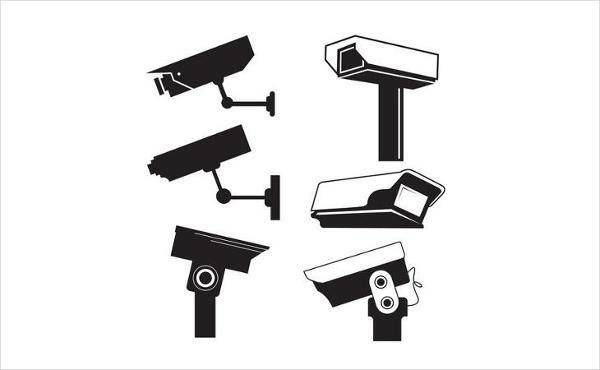 Security camera vectors have a warning role that you can use to create signs for places where there is a cctv system installed. These come in many different designs giving you many professional and stylish options for your own projects. 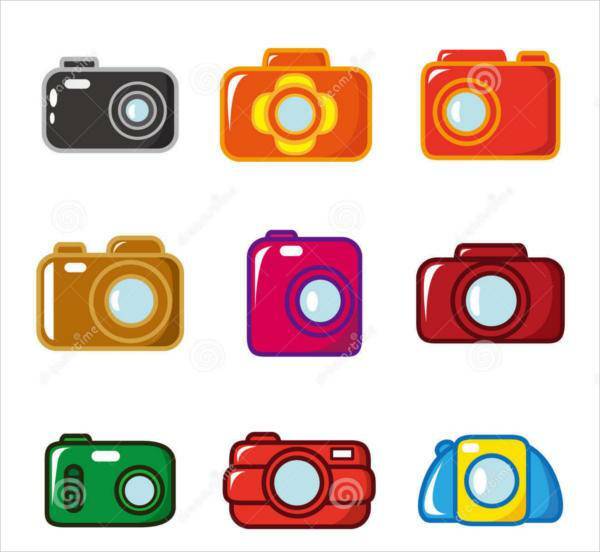 In the world of technology, digital cameras feature in many projects. You can use the vector designs in web sites and apps that are related with e-commerce of technology products. This way you will add style and character for effect. Abstract designs have a creative look that is suitable for projects like web sites, greeting cards and fabric prints. You can find them in colorful designs with stunning graphics and in black and white with elegant style and modern looks. 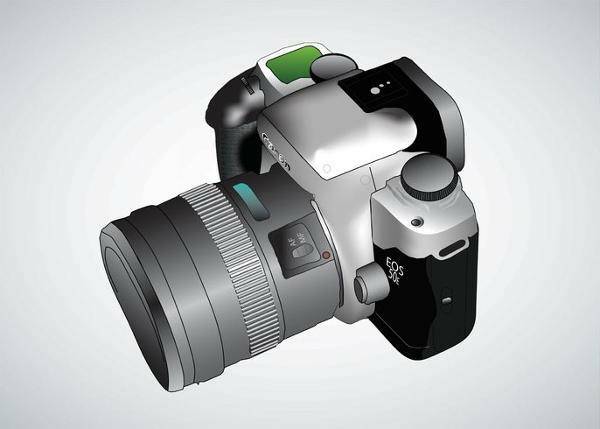 If you want something different for your projects you can go for a design that features a cartoon design of a camera. These designs look attractive for every age and gender giving you a fun design with extra stylish approach. A hand drawn design will give you a personalized look that will complement and enhance your project’s style. Available in charcoal and colorful designs you can find many options to use for your projects while they are available in pad and eps formats. A camera shutter can give you stunning designs with geometric layout that is suitable for many projects. From web sites to blogs and from scrapbooks to apps you can find many vectors to use for your graphic design projects. 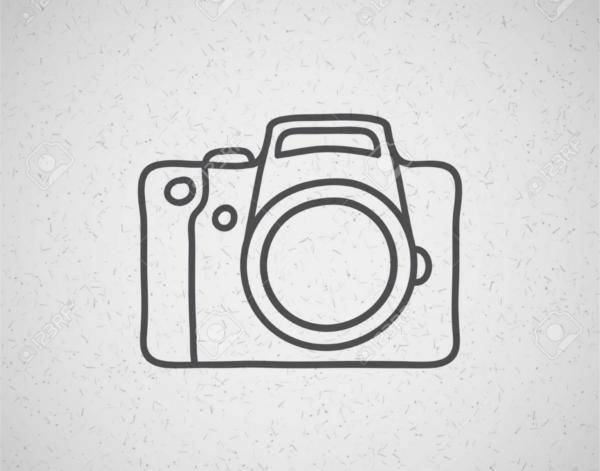 Outline camera vectors offer you a stylish look that is attractive. These designs have a minimalistic layout that can give you incredible style and excellent results. These are available in eps, psd and jpg formats to choose from. In vector designs you have a great deal of variety to choose from in order to use in your projects. Bring an interesting vibe in projects that are related with photography adding a fancy look with stunning vectors. Be sure that you will be rewarded with style and character.